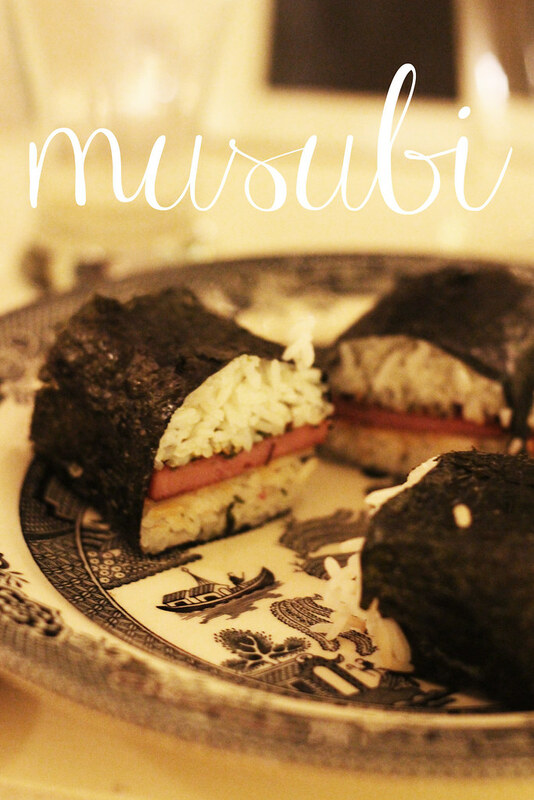 Today spam musubi is on the menu... don't freak out and un-follow, please. If you have been to Hawaii and spent time with locals, or if you have ever met someone from Hawaii you probably already know that spam is the chicken of Hawaii. Okay, maybe not the chicken of Hawaii, but it's certainly more popular there than it is here. While I'm not a canned meat eater (in fact I was a vegetarian for about two years), I do love a good spam musubi. If you're having a hard time wrapping your head around this, I don't blame you. 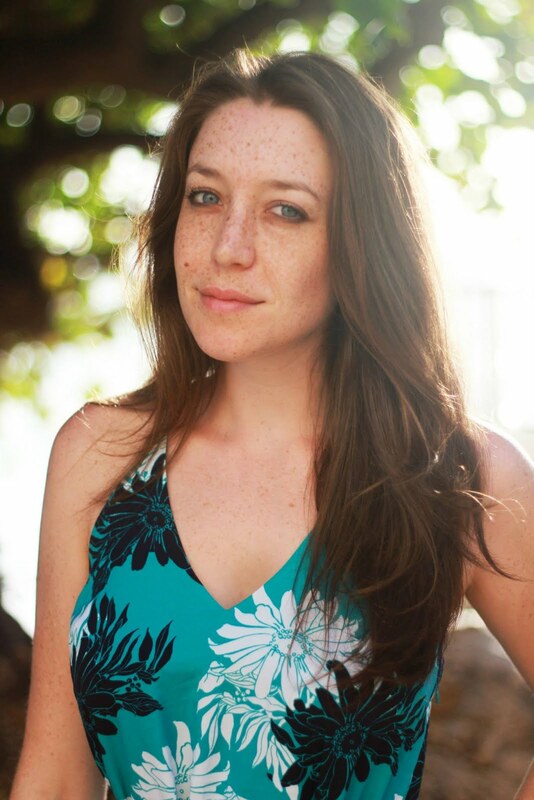 When I first introduced my friends to it via Hawaiian dinner party they balked, and shook their heads. Then, when I fed it to them... that spam-hating face was gone and replaced with a seaweed and rice, Asian-inspired dish smile. Guess what's good? Spam cooked until warm and crisp in a soy sauce and sugar marinade, sandwiched between sticky white rice and wrapped in soft seaweed. If you're brave enough, keep reading for the recipe. 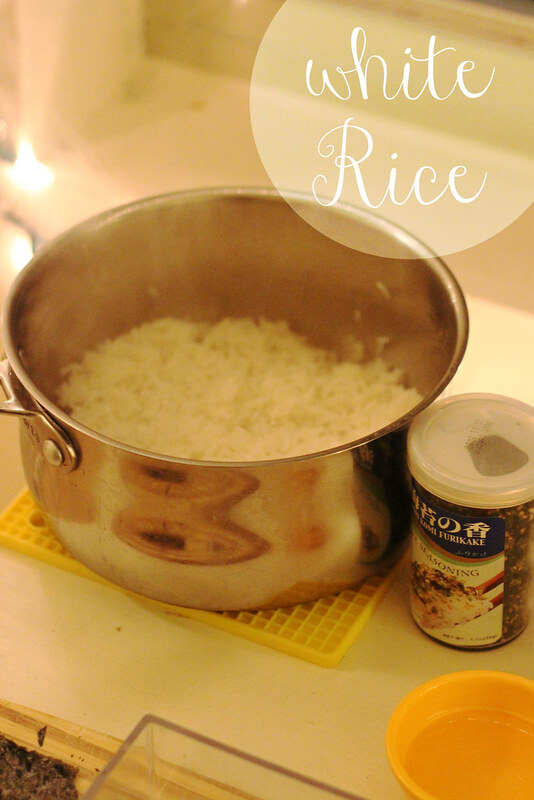 Cook two cups of white rice (rinse the talc off of the rice prior to cooking to make it stickier). 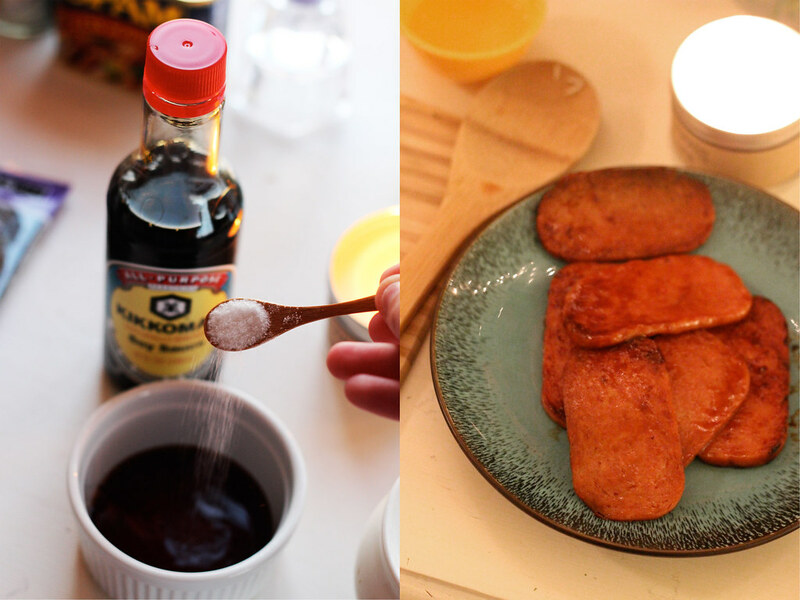 You will want the rice warm while making your spam musubi, so while it's on the stove prepare your soy sauce and sugar combination in a small bowl, mixing the sugar in until dissolved. 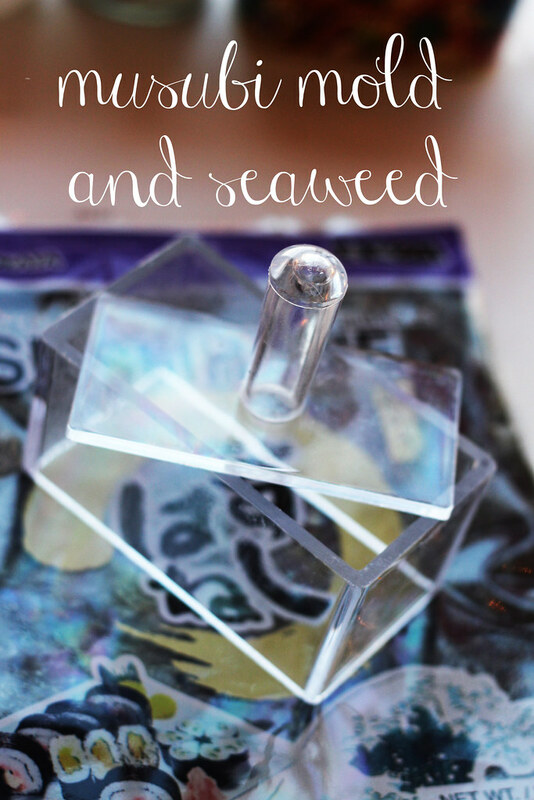 I usually taste test it to make sure I have the right sweet-salty combo and it pretty much depends on your preference. Slice the spam thinly and cook on medium heat in a nonstick pan until the spam is cooked through, getting crisp and browned around the edges. Pour the soy sauce mixture over the spam until it has cooked down (this process is very quick), and transfer to a plate. Now comes the assembly: Cut your nori sheet in half and use a musubi maker (the nifty gadget pictured above) or something similar (I've used the washed spam can before, but it's sharp). 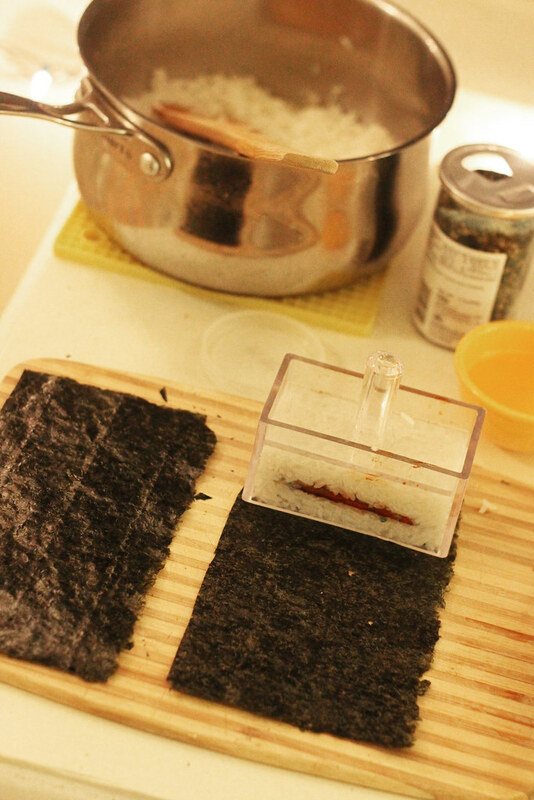 Place the musubi maker close to the end of the sheet of seaweed and fill about one-quarter full of warm rice. Sprinkle furikake over the rice and then lay on a piece of spam, followed by more rice. Tamp down with the musubi maker lid and roll up the nori around the rice and spam. Moisten the edge of the nori to make it stick and cut in half using a warm, wet knife. 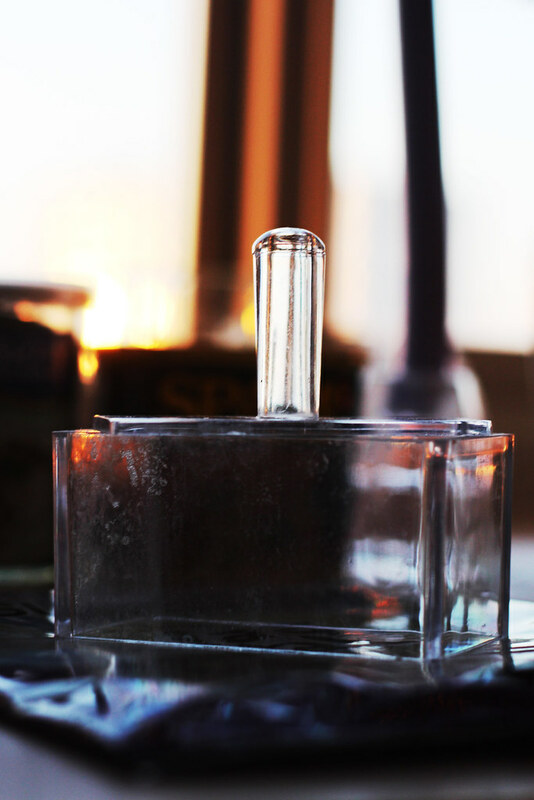 Voila, you're done! This looks SO GOOD!!! Yum!! I don't like it at all, but my man met me at the airport in Guam two weeks ago with a couple in hand! He's stationed in Hawaii, but they have it in Guam, too. I guess he's started to like it! I'm sure it would be much better made at home than from the gas station, like most things in life, but I've never had homemade Spam musubi. OH MYYYYYY! Looks delicious, I love sushi! Interesting. Me & my roommate might have to try this. I hope your having a great Saturday! Okay... this looks pretty good....minus the spam. I don't think I could mentally do it!! I may try this substituting something for it though! Delicious! I love sushi...I'm half Japanese:) I am a new follower from Rome. 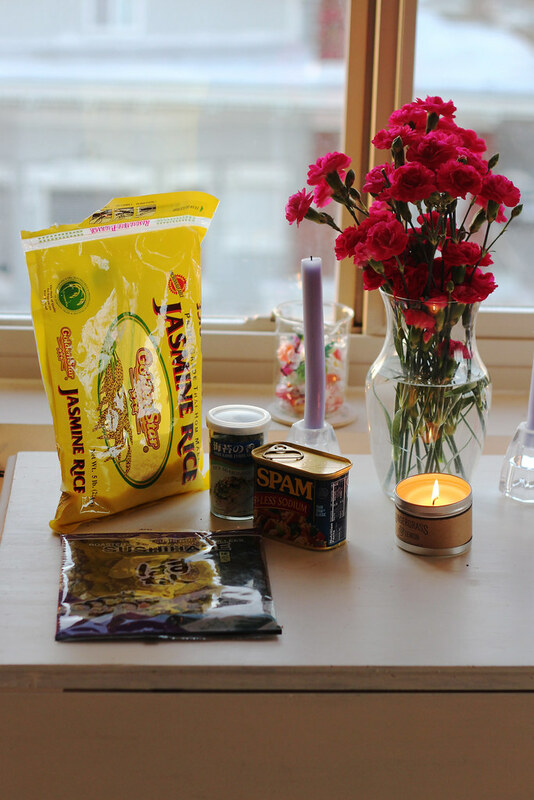 omg I LOVE spam masubi! thanks for sharing this..now i'm totally craving for some! Definitely want to try it <3 Looks delicious ! Okay I buy it...this looks pretty great! I grew up with musubi, just had some last weekend in fact! It's also great with teriyaki salmon or teriyaki hot dogs..my mom's invention.